For all your blueprinting needs, both big and small, come see us to get them done right. Copy Country has specialized in blueprinting since 1977, and the traditional term "blueprint" continues to be informally used to refer to architectural floor plans. While Copy Country no longer prints traditional cyanotype or diazo prints, we’ve replaced our blueprinting technology with more modern and less expensive printing methods. Copy Country has evolved along with the technology to give you the best quality of architectural floor plans or “blueprint” possible. We know that blueprint plans can change, which is why we can print a project of virtually any size. From simple house plans to commercial construction projects—in color or black and white—we can do it all. We understand the importance of accuracy for all blueprinting and CAD projects. That’s why our customers can rest easy knowing that each copy will be as clear and sharp as the next. We realize that your blueprints need to be consistently clear between copies. 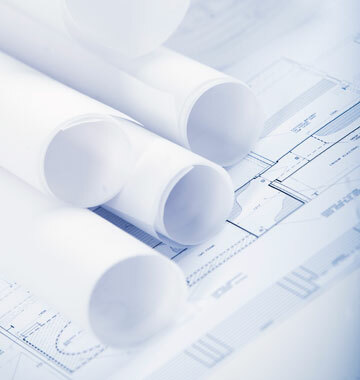 Because your blueprinting and CAD projects are integral to getting your job done right, getting each and every set of your blueprints done right is extremely important to us. Blueprinting and CAD projects are too important to be left to amateurs. With over 35 years of specialized blueprinting experience, we’re able to save you time, which saves you money. We get the job done right the first time, and we always make sure our customers are completely satisfied. Come see us for all of your residential, commercial, and industrial blueprinting and CAD projects for a final product that will take you and your clients from the beginning stages of construction to the finished project.